Mascot Hall of Fame Grand Opening! The Mascot Hall of Fame officially opened its doors to the public on December 26th . Folks are invited to explore two floors of fully interactive exhibits in the Department of Phuzzical Education, Science of Silliness Lab, Department of Furry Arts, and more. Compete against family, friends, and other museum guests while firing t-shirt cannons, racing mascots, and auditioning as a mascot. All exhibits will also educate visitors about exercise, nutrition, geography, and more. Educational displays and activities incorporate S.T.E.A.M. education (Science, Technology, Engineering, Art, and Math); complimenting state and local curriculums. The MHOF is the perfect destination for school field trips and youth organizations. On a trip to the MHOF, guests can build their very own furry friend in the Build-A-Bear™ Workshop, grab a bite to eat at the Snack-N’-Go, and shop in the Gift Shop for a variety of MHOF apparel and custom merchandise items. 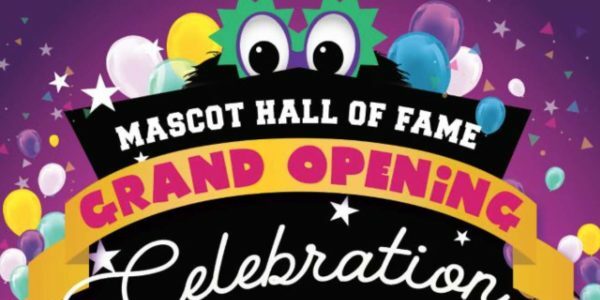 Join the MHOF in the City of Whiting this Spring for the Mascot Hall of Fame’s Grand Opening Celebration taking place April 5th, 6th, and 7th. Enjoy an entire weekend at the museum filled with mascot appearances, kid activities, photo ops, and an official ribbon cutting ceremony. Then, mark your calendar for the MHOF’s 2019 Induction Weekend on June 14th, 15th, and 16th; the Hall’s largest annual event honoring current and new mascot inductees. This spectacular, action-packed weekend will host a series of celebratory events featuring keynote speakers, famous mascot appearances, and the long awaited inaugural induction ceremony. In addition to the everyday museum fun, the MHOF will host year-round events that celebrate mascot fun for members and visitors. From birthday parties, to mascot boot camps, to weekly mascot appearances, there will be something for people of all ages to enjoy. Annual mascot inductions will take place for professional and collegiate mascots who complete the application process, qualify for induction, and get voted into the Hall. See you at the Mascot Hall of Fame! Be sure to ask a MHOF staff member about our memberships, field trip information, Furitorium rentals, and birthday party packages! Admission to the museum is $12 for adults and children. Hours are Mon.-Wed., Fri., and Sat. (10a.m. to 6p.m. ), Thurs. (10a.m. to 8p.m. ), and Sun. (10a.m.to 5p.m.) We hope that you will all come visit over your holiday break to experience Whiting’s new, interactive children’s museum for the first time. Visit http://www.mascothalloffame.com/ for details, or call 219-354-8814 for inquiries.